If you thought the 90s resurgence in fashion has peaked? Nope. You got your chokers. Your cropped tops. Your platform shoes. Your high waisted mom jeans. Your matte brown lips. Not enough 90s for you? Will this do? Hahahah if there’s one thing that’s classically 90s it would be the Trolls! 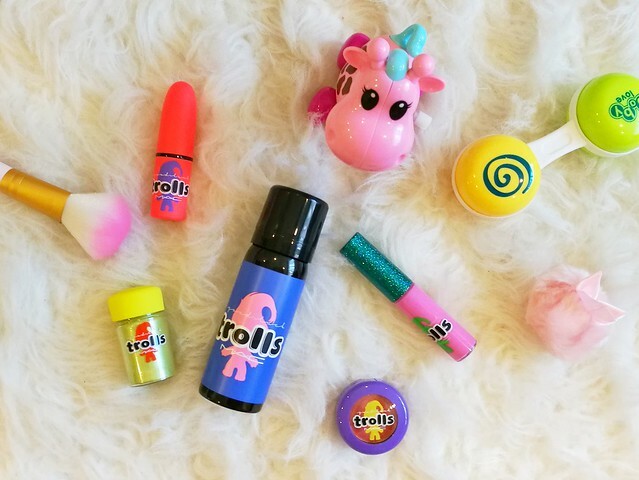 Together with Polly Pocket, Beanie Babies and the Spice Girls, the Trolls were a major 90s icon that shaped our childhoods. I didn’t have a Beanie Baby but I sure had a troll doll! It was naked with pink hair, and it doubled duty as a magnet so most of the time it sat on our fridge door… when it wasn’t repurposed for play time with the rest of my stuffed toys lolol. 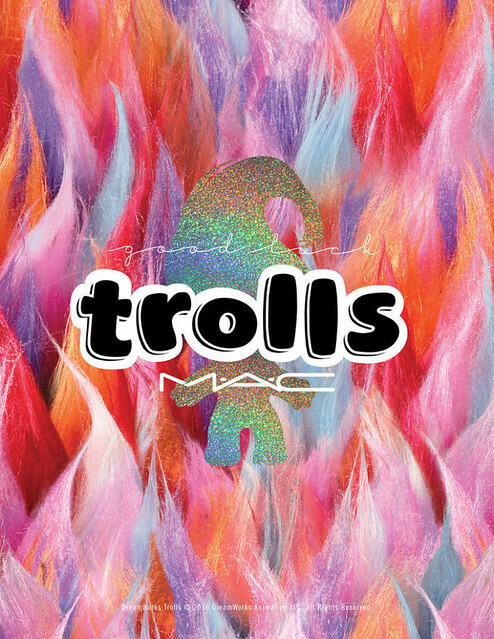 MAC Cosmetics have released this range called Good Luck Trolls in conjunction with the Trolls movie that was recently released…. and the shades are wild. Did a swatch just to show you guys the colors! 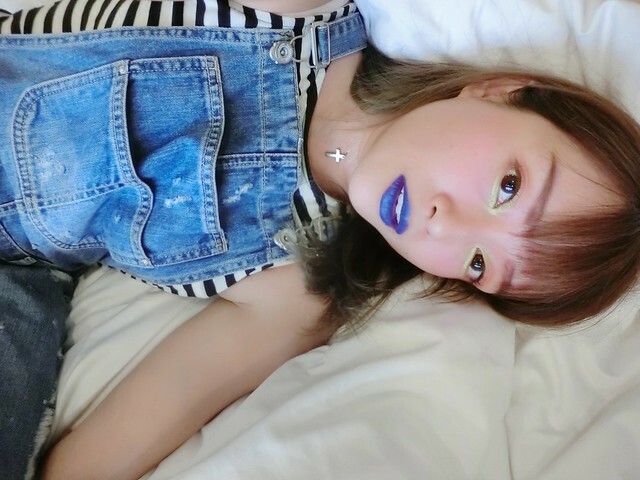 St Germaine is a bubblegum pink color, Midnight Troll is a shocking midnight blue lipstick in matte, Paradisco is a peachy shadow which is actually is really light compared to the other pigments in the collection. Chartreuse is a glittery yellow that actually really scared me at first. At first when I saw these colors I was like uhhh how do I put all this together into a relatively wearable look without looking like someone pushed me into the mixer in a paint factory!? Did some plotting and I figured out a look. 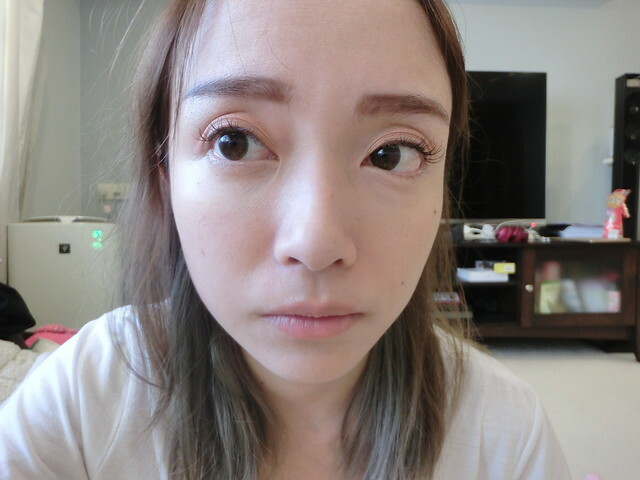 Started with my usual base – foundation, concealer (for those damn eyebags) and brows. I started with the eyeshadow, Paradisco. 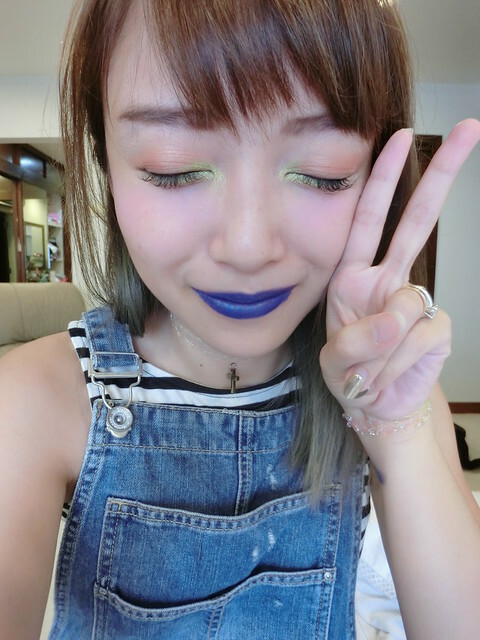 It’s the least pigmented item here so I thought it would balance out the bolder colors hehe. Applied it all over my eyelids, but only up to the crease. 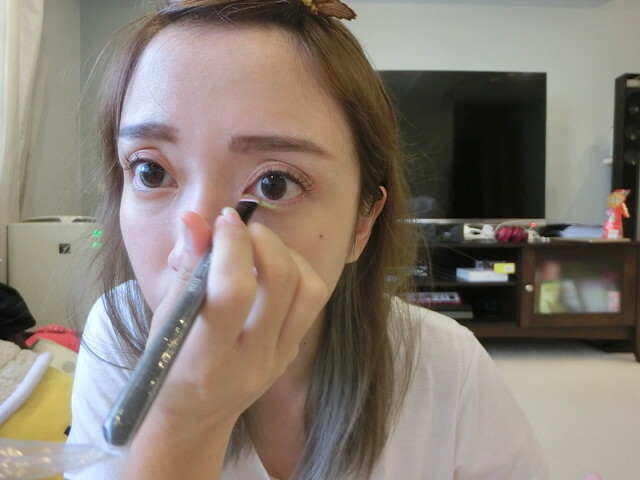 Then taking the glitter pigment in Chartreuse, I used a flat brush to apply it in the corners of my eyes and under. 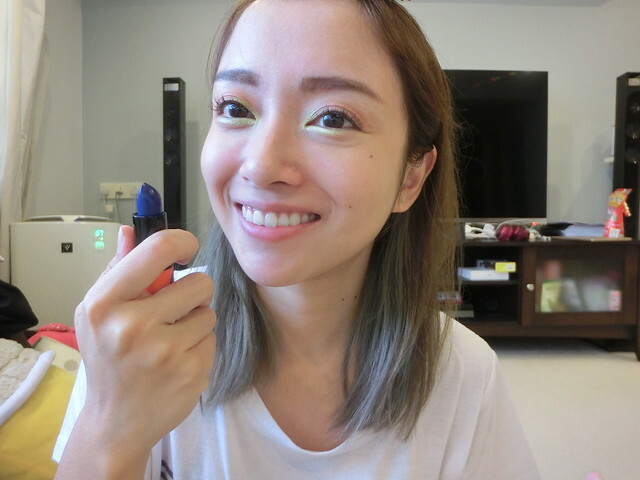 This Chartreuse is super bright so be careful not to go crazy with the brush and apply it too widely! I tried to stick as close to my eyeballs as I could. 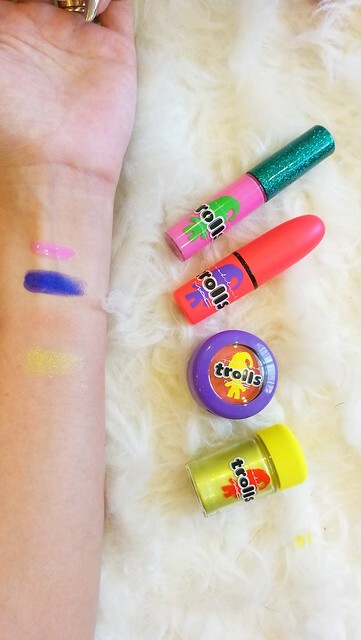 Finishing touch – Midnight Troll lipstick! WAH WAH WAH. This lipstick is matte and comes on sheer the first swipe. Layer it on and the color becomes more opaque and bolder. 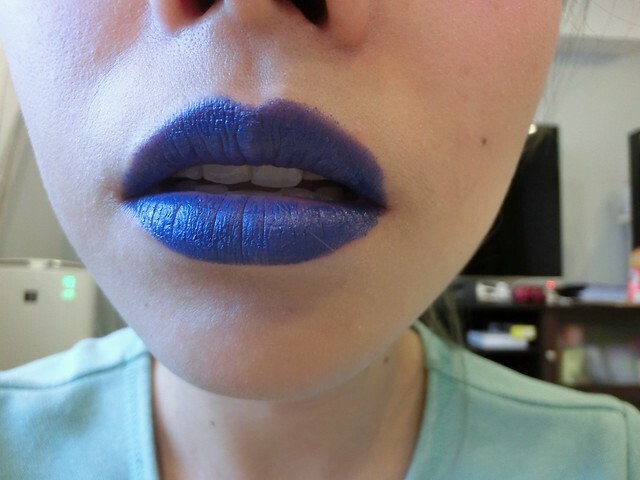 Because it’s so pigmented, I recommend using a lip brush to apply it for more even lines. ^^ I didn’t that’s why hahaha. 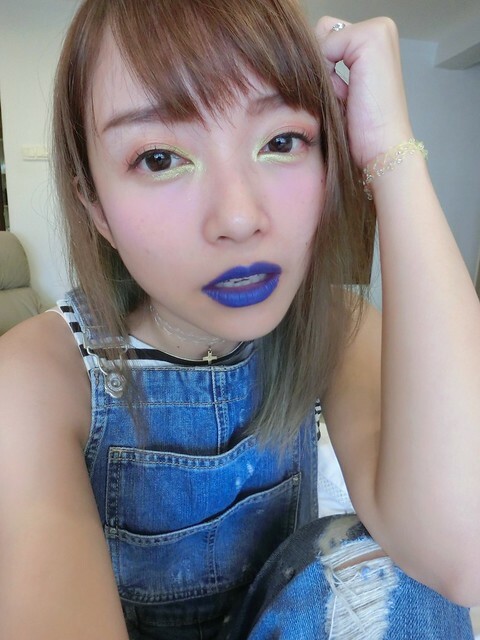 Because the lip color is so stark, my face looked a bit too pale in comparison so I swiped some pink blusher across my cheeks. For a little more definition, I also lined my eyes with fine brown eyeliner to set off the Paradisco. Do check out the KL Sogo Trendsetter website for beauty and fashion tips, as well as product giveaways and workshops. 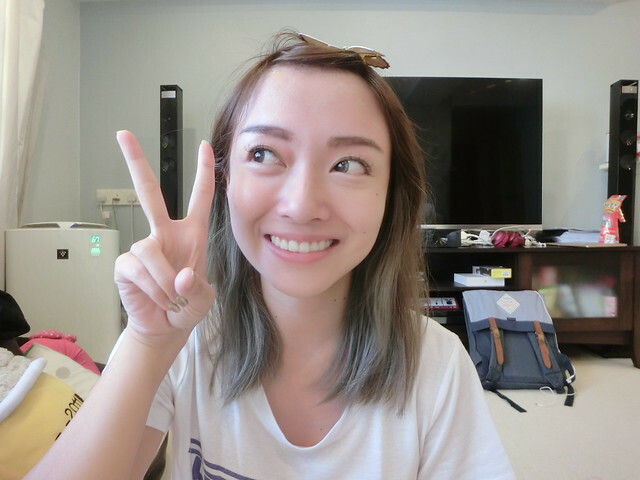 This post was written in collaboration with KL Sogo.